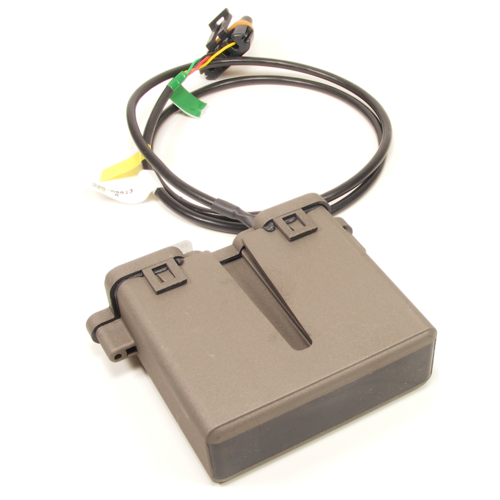 The cost of an obstacle detection system is often less than the insurance deductible incurred in an accident. 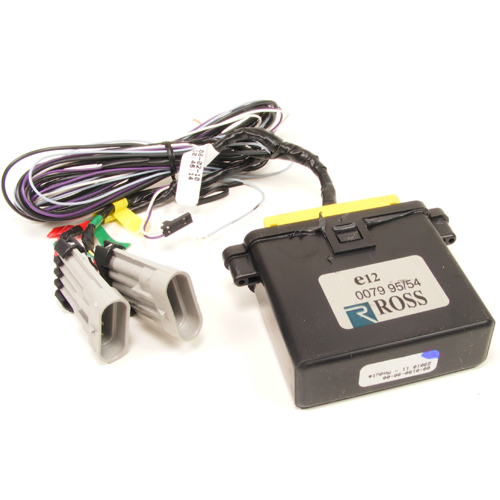 Protect your investment with Rostra's economical ROSS Pro! Don't Guess! Like an extra set of eyes, the Rostra Obstacle Sensing System (ROSS) detects objects that you can't. Using the latest microwave motion sensing technology, the ROSS alerts you to obstacles as far away as 12 feet behind or next to the rear end of the vehicle. Prevent costly and troublesome accidents. The ROSS is for vans, pick-up trucks and most commercial vehicles. Alerts driver with a three-color visual LED and an audible beeping tone. Works in poor weather conditions. State of the art Microwave Motion Sensing Technology. Does not change the appearance of the bumper. A view of the top of the ROSS Sensor. Two are included in every ROSS system kit. 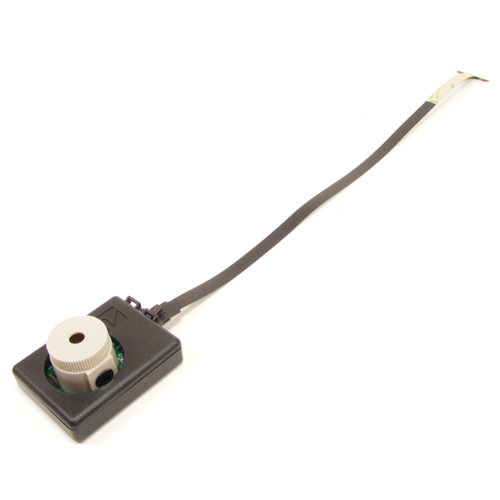 A view of the bottom of the ROSS Sensor reveals a slot where the mounting brackets attach. 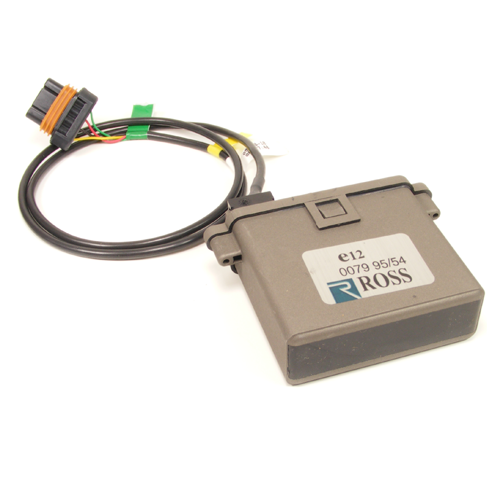 The ROSS Control Module serves as a control unit and is responsible for determining distance of objects behind your vehicle. 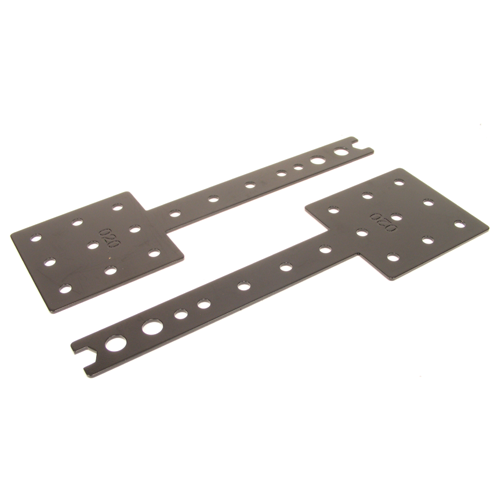 The ROSS System sensor mounting brackets provide a wide variety of options for mounting sensors on any vehicle. 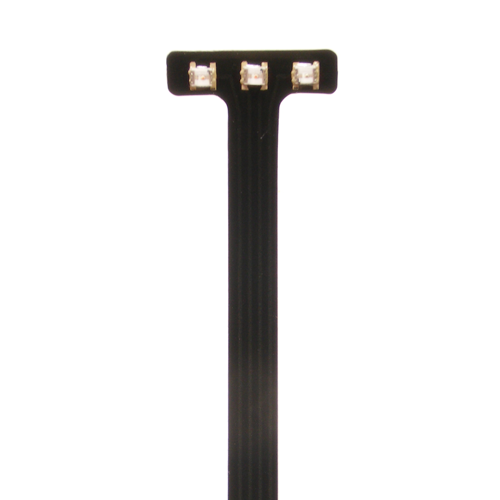 A close-up look at the ROSS LED Warning Lights reveals the individual colored lights. The ROSS Alert Module is responsible for controlling when the green, yellow or red LED's come on when approaching an obstacle. Will I need to clean the sensors? No. The ROSS uses microwave sensing and can see through snow, mud, ice even a plastic bumper. How am I warned about approaching an obstacle? Can the LED strip be located in the front of my vehicle? Yes, but it is recommended to install it in the rear. Contact our technical services department for specific details. Why is this system the best? Other detection technologies require an external transducer and they cannot be placed behind or covered by any type of material. Their performance can be seriously affected by the weather. The ROSS uses technology that is not affected by these conditions.